Beautifully written! Whenever I think of Lughnasadh, I not only think of Lugh, but of the Goddess Tailtiu and Her great sacrifice. It was on Her deathbed that Queen Tailtiu asked that funeral games be held annually on the ground that She cleared that ultimately caused Her demise. We are approaching the season of Lughnasadh, also known as Lammas. This is the first of three harvest festivals. This one focuses on what we call the “first fruits”, those fruits, vegetables and grains ripening early in the season. The other two are Mabon and Samhain, one celebrating the harvest of the last crops and the next that of the herd animals sacrificed to feed the tribes. “Tailtiu’s themes are the first harvest and excelling in a craft or sport. Her symbol is bread. The Irish Goddess Tailtiu was the foster mother of the god of light, Lugh, whom this date venerates. Lugh held Her in such high regard that he created the Tailtean games, which took place during Lammas (rather like the Olympics). This honor may have also had something to do with Tailtiu’s association as an earth Goddess. Fill in the blank with a word that describes the area in which you want to encourage improvements or develop mastery. Eat the bread to internalize the energy. 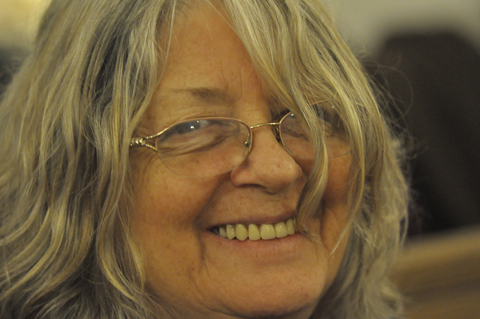 Patricia Monaghan tells us that Taillte was “the Goddess of August in ancient Ireland [who] was said to be foster mother of the light, embodied in the god Lugh. 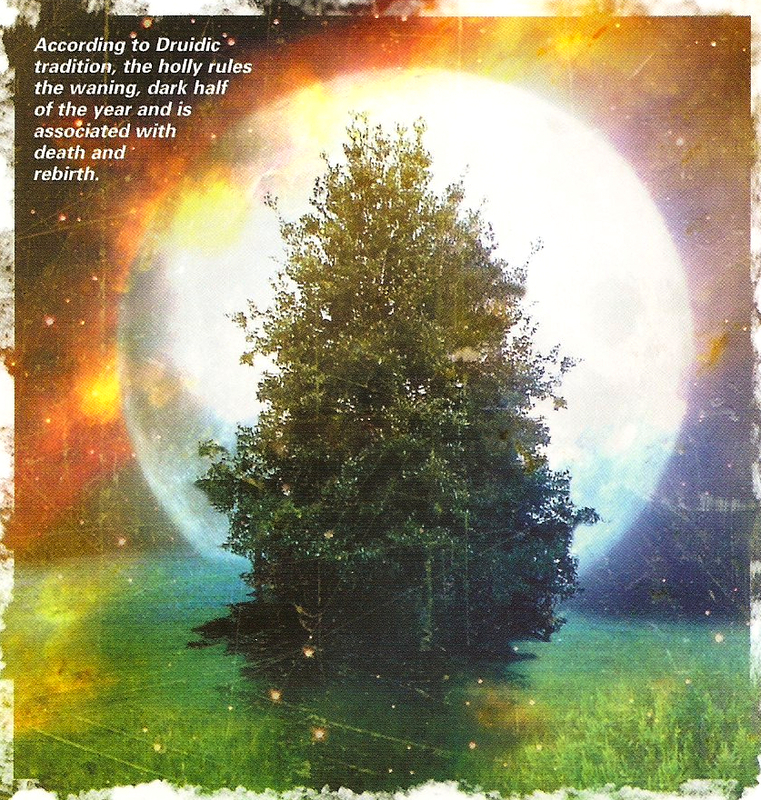 One of the great Irish earth Goddesses, Taillte lived on the magical Hill of Tara, from which She directed the clearing of an immense forest, the wood of Cuan. It took a month to clear the Plain of Oenach Taillten, where Taillte then built Her palace; it remains on Irish maps today as Teltown, near Kells. A festival was celebrated annually in Her honor, lasting the whole of August. For generations it was celebrated, complete with mercantile fairs and sporting events; even into the medieval times Taillte’s festivities were held. Eventually, they died out, but in the early part of this century the Tailltean Games – the Irish Olympics – were revived in an attempt to restore Irish culture” (p. 290). According to a Teltown/Meath tourism site: “The hill of Tailtiu is one of the most celebrated spots in Ireland, for it was here that the celebrated Aonach Tailteann, the Lughnasa Festival was first held. Tailtiu was the learned daughter of Mag Mor, a distinguished king of Spain, and married to the last great Fir Bolg king, Eochaid mac Eirc, who named his palace after Her, and She was also the foster-mother of the great hero Lugh Lámfhota. Tailtiu lived in Her palace on Ráth Dubh and She led Her people in the clearing of the forest of County Meath, some of Ireland’s best farmland. But the work of clearing proved so onerous as to break Her heart, in the words of the text. Queen Tailtiu took the trouble to select a particular spot in which She wished to be buried. It was located on the side of a hill, covered with dense forest; but because of its sunlit and beautiful situation She had chosen it, and Her husband, in compliance with Her wishes, had it cleared of the timber. It took a host of stalwart men nearly a year to accomplish the task. In this spot Tailtiu desired Her Leath, or tomb, should be made, Her Cuba, or public lamentations, recited, and Her Nosad, or funeral rites and games, duly celebrated, according to the recognised customs of the country. On Her deathbed Queen Tailte asked that funeral games be held annually on the cleared ground. King Lugh came from his great palace at Nas (now Naas, in Co. Kildare), and had Tailtiu interred in Her ‘green circle on the distant hills.’ Legend says She was buried in a royal state, with impressive druidical rites, on the side of Caill Cuain (now called Sliabh Caillighe), in what is known now as ‘Cairn T‘. When summoned by the Ard Righ, or High King, such assemblies were of the greatest national importance, and as such were attended by all the minor kings, chiefs and nobles, as well as by vast multitudes of the people from all parts of the five provinces. Participants came from all parts of Ireland, Scotland, and further afield, making Tailtiu the equal of Tara, Tlachtga, and Uisnech. As a national institution, the Aonach fulfilled three important public functions in the lives of the people. Its first objective was to: do honour to the illustrious dead; secondly, to promulgate laws; and, finally, to entertain the people. Presiding at the Tailtiu assembly or fair became the prerogative of the king of Tara. Lugh lead the first funeral games at the time of Lughnasa (1 August; Lammastide, now Lammas), which consisted of hurling, athletic, gymnastic and equestrian contests of various kinds, and included running, long-jumping, high-jumping, hurling, quoit-throwing, spear-casting, sword and-shield contests, wrestling, boxing, handball, swimming, horse-racing, chariot-racing, spear or pole jumping, slinging contests, bow-and-arrow exhibitions, and, in fact, every sort of contest exhibiting physical endurance and skill. A universal truce was proclaimed in the High King’s name, and all feuds, fights, quarrels and such-like disturbances were strictly forbidden and severely dealt with; and all known criminals were rigorously excluded from both the games and the assembly. In addition, there were literary, musical, oratorical, and story-telling competitions; singing and dancing competitions, and tournaments of all kinds. Also, competitions for goldsmiths, jewellers, and artificers in the precious metals; for spinners, weavers and dyers; and the makers of shields and weapons of war. The fair lasted for a fortnight. Meath.ie, “HISTORY & LEGEND ABOUT THE TAILTIU & THE TAILTEANN GAMES (A SNIPPET)“. Monaghan, Patricia. The New Book of Goddesses and Heroines, “Taillte”. MXTODIS123. An Inner Journey: The Moon, Mythology, and You, “Tailtiu“. Ancientworlds.net, “Tailtiu and the Tailtian Games“. Tuathadebrighid.net, “The Story of Tailtiu“. The Celtic lunar month of Holly is the perfect time to celebrate your achievements and to focus on your future. As the days shorten after summer solstice and the Moon grows in power, focus on putting bad situations behind you. The eighth Celtic Moon month ushers in the shortening of days. The power of the Sun is transferred to Earth, highlighting our practical needs and desires. The Celtic fire festival of Lammas begins the harvest on August 1, so the month of the Holly Moon is a time to give thanks for the good things in your life. Focus on your own “harvest” during the month of Holly – on what you wish to achieve and why. Traditionally, the first gain harvested was baked into a loaf that represented the spirit of the crop, or “John Barleycorn” as it is called in England. This bread was shared in a ceremony to ensure the wealth of community. Use this month to celebrate your successes with family and friends and to consider sharing your good fortune with others. The holly is magically imbued with powers of protection. In England, it was believed to protect against witchcraft and to guard homes against being struck by lightning. Its evergreen leaves symbolize renewal and recovery during the dark half of the year and ward against envy and the misuse of power. 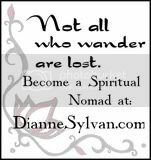 The planetary rule of holly is Mars, which bestows upon the tree the ability to restore direction in your life, to rebalance and align energy, and to help you gain a sense of purpose. 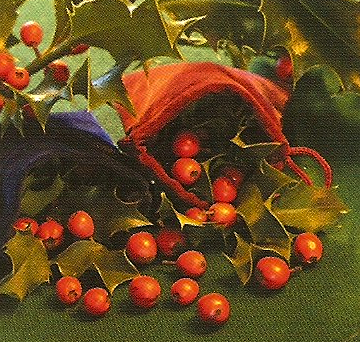 In Pagan tradition, men carry sachets of holly leaves and berries, which will enhance their masculinity due to the tree’s restorative and energizing powers. Use the magical blessings of the Holly Moon to celebrate and share the good things in your life and to increase your future fortune and success. 1. Prepare some bread dough from flour, yeast, oil, honey, water and salt, and leave it to rise in a warm place for an hour. 2. 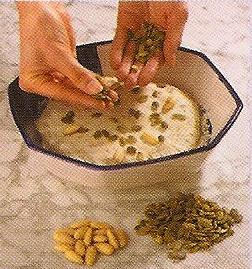 Sprinkle some seeds and nuts on top of the dough to symbolize each blessing in your life, such as a comfortable home or supportive family. Focus on these positive things as you knead the dough. 3. Shape the dough into a roundish loaf and place on a baking sheet. 4. Before baking it, place your hands on top of the dough and try to visualize golden light channeling into it. 6. 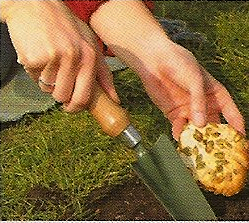 When baked, bury the first slice of the loaf in the ground and whisper your wishes for the future. 7. Share the rest of the loaf with your friends and family and celebrate your abundance. 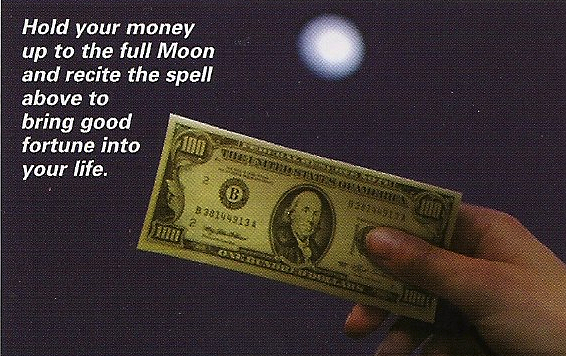 One the full Moon, hold up some paper money to use the moonlight and recite the spell below. 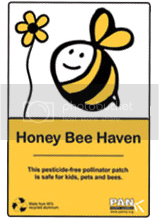 Give the money to charity, and in return, the positive energy of holly will provide you with the funds you need over the coming months. 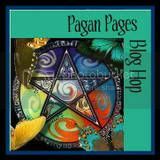 The spirit of renewal is the month of the Holly Moon makes it an excellent time to reenergize your life. 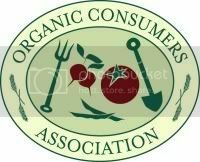 Tune into the energies of your environment by eating-rich seasonal foods, preferably foods that are locally produced. Use holly’s influence to rise to physical challenges and overhaul your personal fitness by joining a gym or taking up a martial art. Celebrate the harvest of the season and of the things that enrich your life during the Holly Moon by inviting friends to dinner. Ask everybody to bring a dish that they have prepared, and cover the table with a gold cloth to signify the wealth in your life. 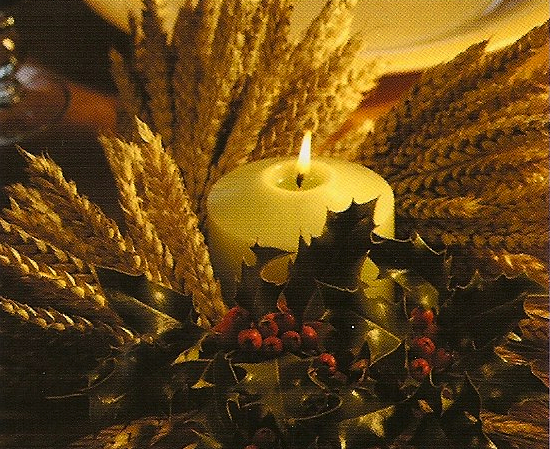 For the centerpiece, place an arrangement of holly and wheat around a candle to represent the harvest spirit. Once your guests have arrived, give thanks to Mother Earth for the food that She has provided: “Let us eat that none shall know hunger. Let us drink that none shall know thirst.” During this meal, discuss what it is that you wish to harvest in your life. “Enhancing Your Body, Mind and Spirit”, 21 Nature Magic, CARD 12.